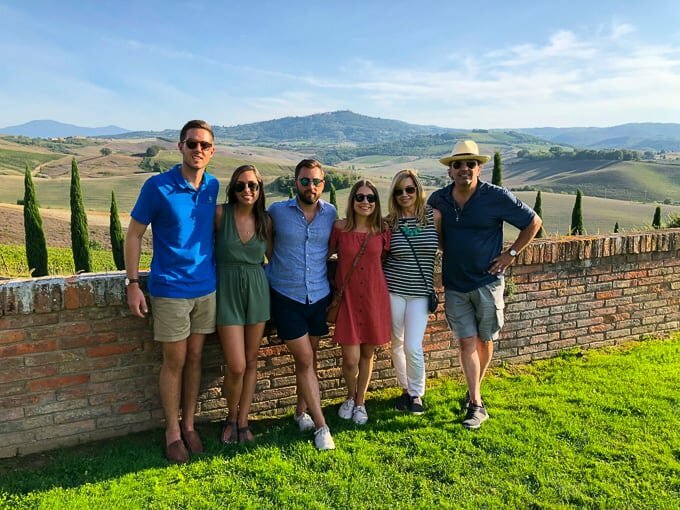 Tuscany was my favorite stop of our entire trip in Italy. The food was incredible. The scenery, breathtaking. And the wine was *puts fingers to lips and makes kiss noise*. 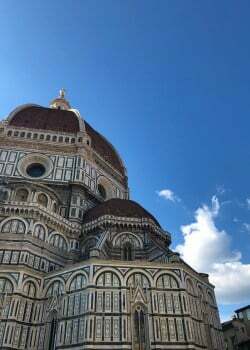 If you’re heading to Italy, I would recommend making Tuscany a MUST-STOP on your list. 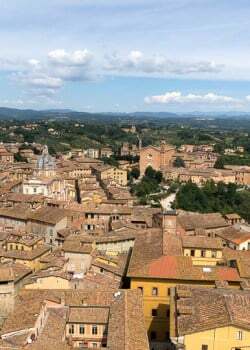 After Siena, we drove our rental car to Montepulciano, which was about 1 hour away by car. We stayed at an agiturismo, which is basically an accommodation situated on a working farm. 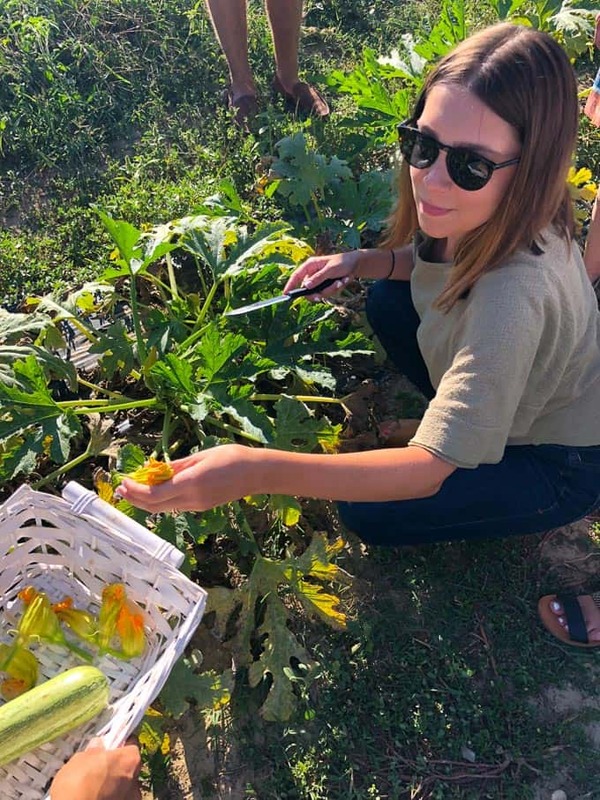 I have friends who loved staying at agiturismos in rural areas in Italy so I knew that this was a must-have experience during our trip. We stayed at Le Stringaie, which was about a 15 minute drive to the center of Montepulciano. We LOVED this place. It was a gorgeous day when we arrived and we had been going going going nonstop that we decided to spend the afternoon just lounging by the pool and hanging around the grounds. It was much needed R&R after all the sightseeing and travel. 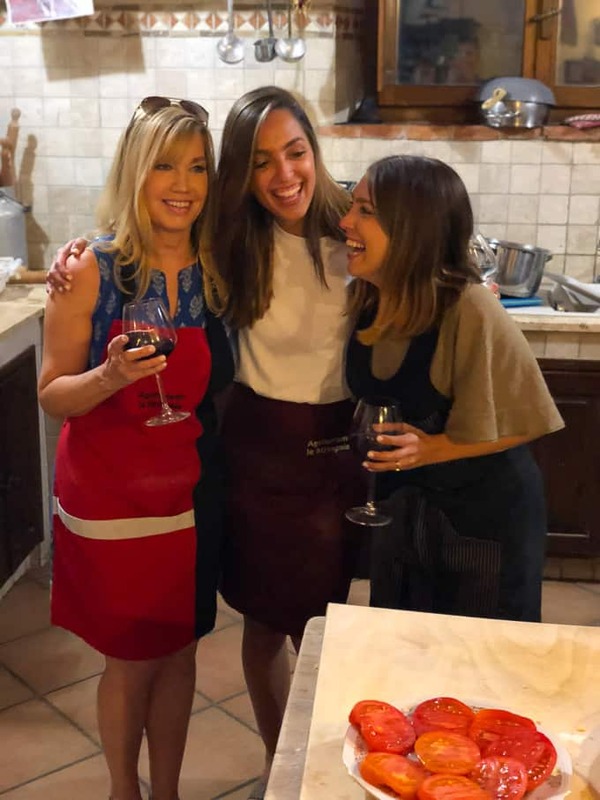 That night, we booked a cooking class at the agiturismo (another reason I chose this one specifically – I wanted to do a cooking class while in Tuscany!). 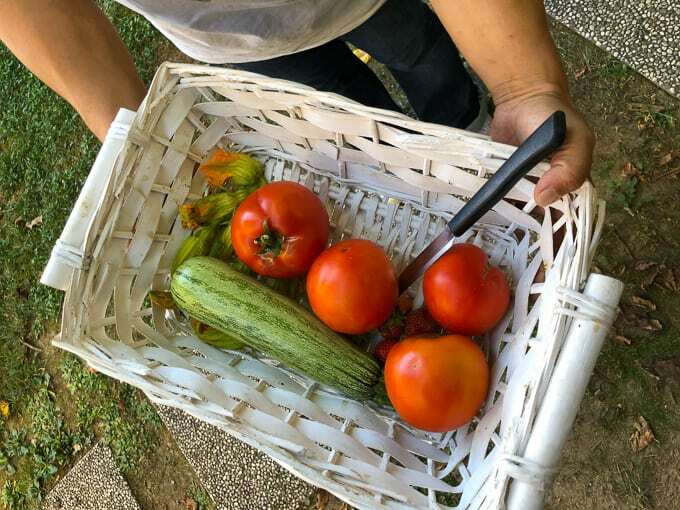 We started by going to their garden/farm where we picked some produce for the class. 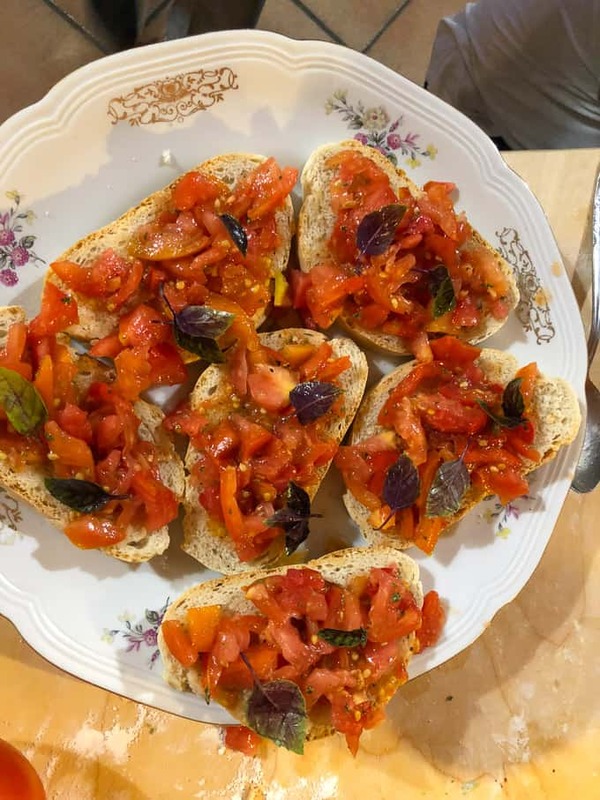 We ended up using the tomatoes to make bruschetta and a fresh tomato salad. 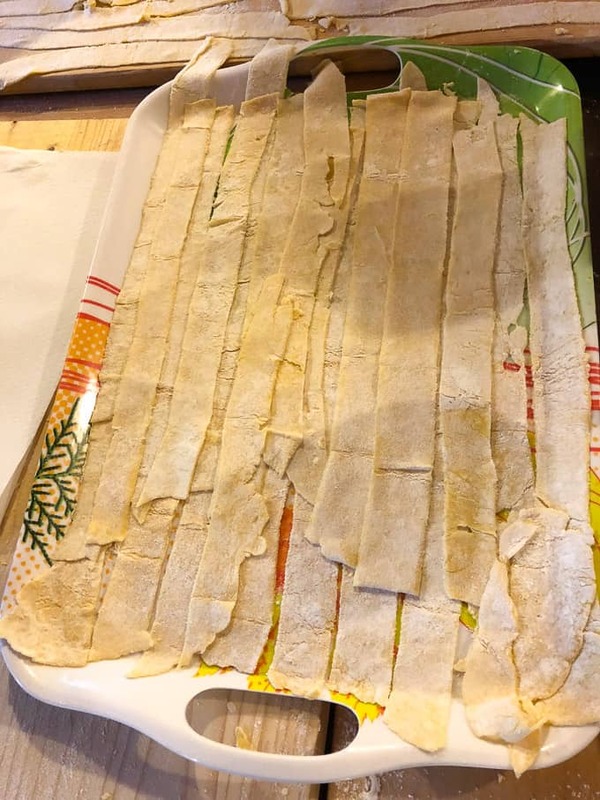 And then we embarked on making homemade pappardelle pasta. 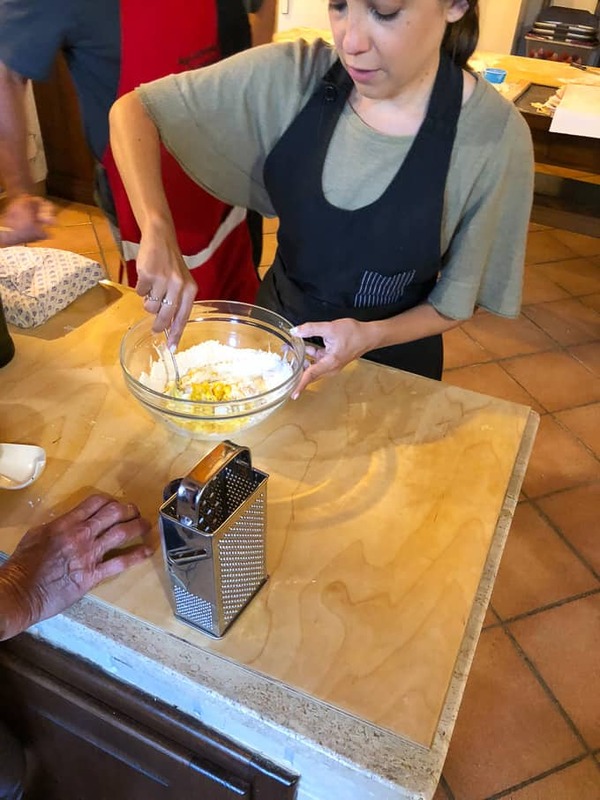 Making the pasta was so fun. 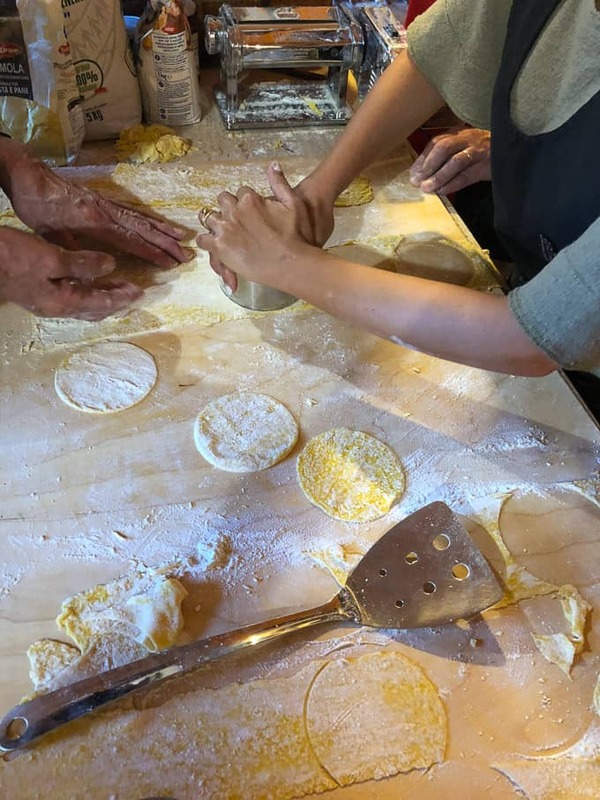 Truth be told, I’d never made homemade pasta before and definitely have the itch to do it again since we’ve been back. Also this was the best tasting pasta of my LIFE. So fresh. I’ve never tasted anything like it. 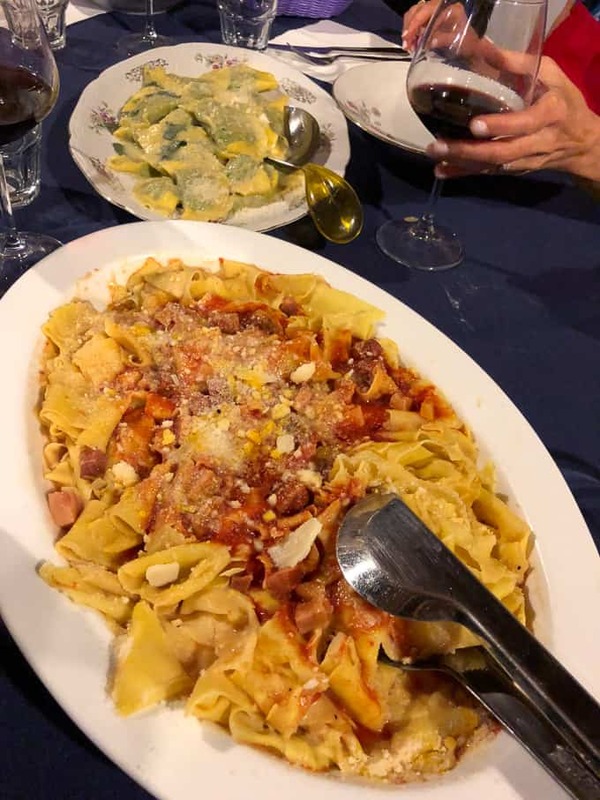 For the pappardelle, we made an amatriciana sauce, which I also had never heard of before this trip but now oddly enough see it everywhere. Well, not everywhereeee. But I have seen it on a couple of Italian restaurant menus since returning home. Funny how once you learn about something new, you suddenly start to see it everywhere. 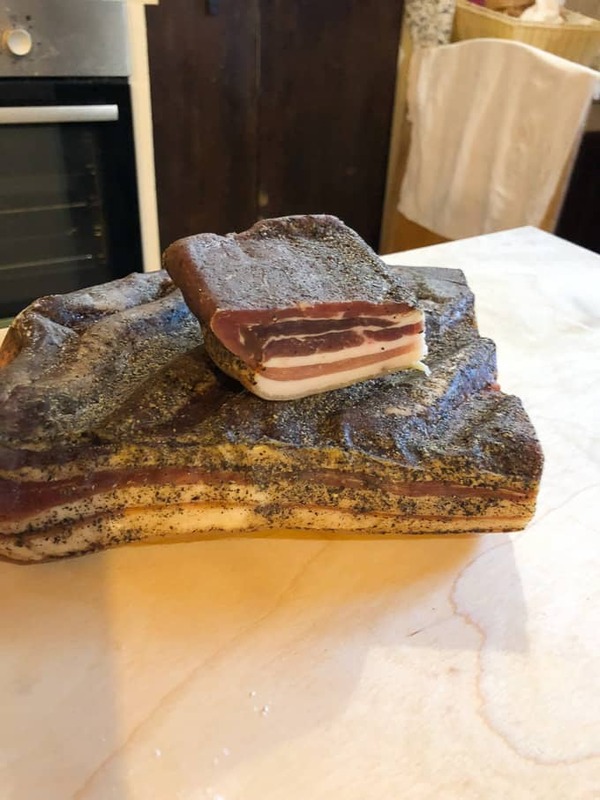 Amatriciana is a tomato based sauce made with guanciale or Italian panchetta. Steve was totally in his element during this class. 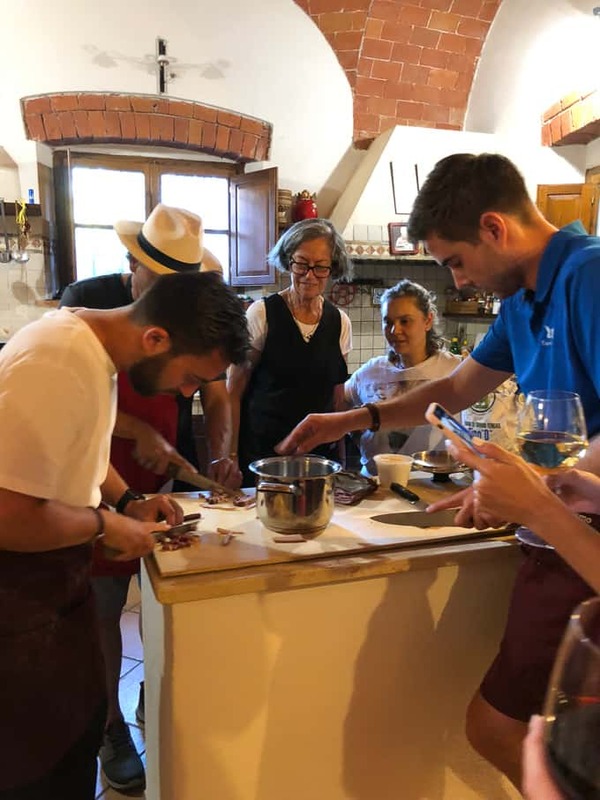 I don’t know if it was the red wine flowing or the fact that he was a chef in a previous life but he was impressing our instructor left and right. She ended up calling him “artist” the rest of the evening. 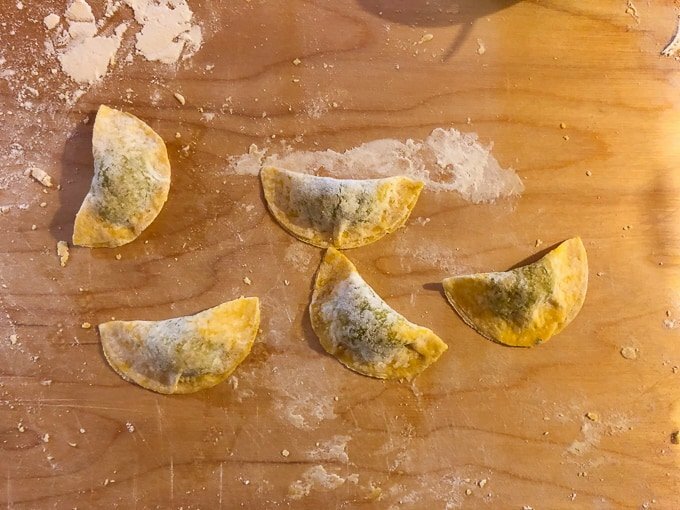 We also made homemade ravioli with a spinach and ricotta filling. Here I am mixing the dough for the ravioli. 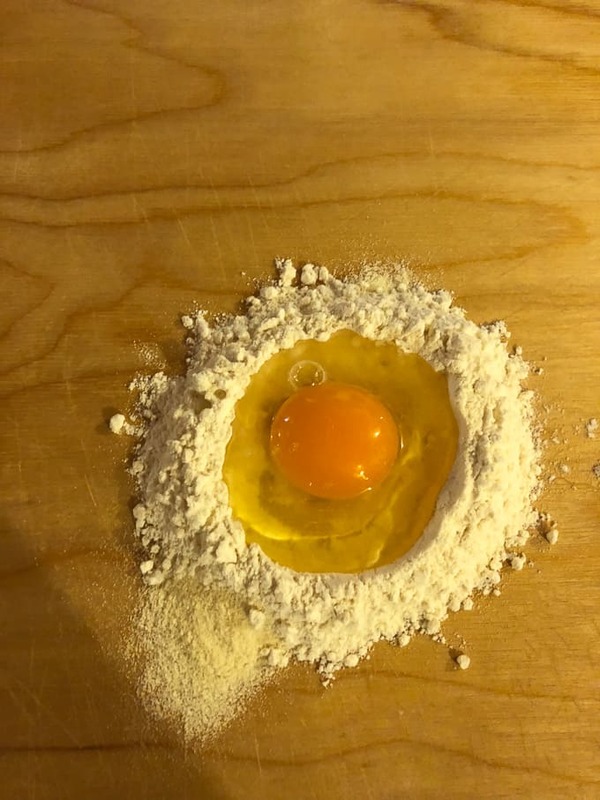 We put it through the pasta machine to get it super thin to cut it into rounds. 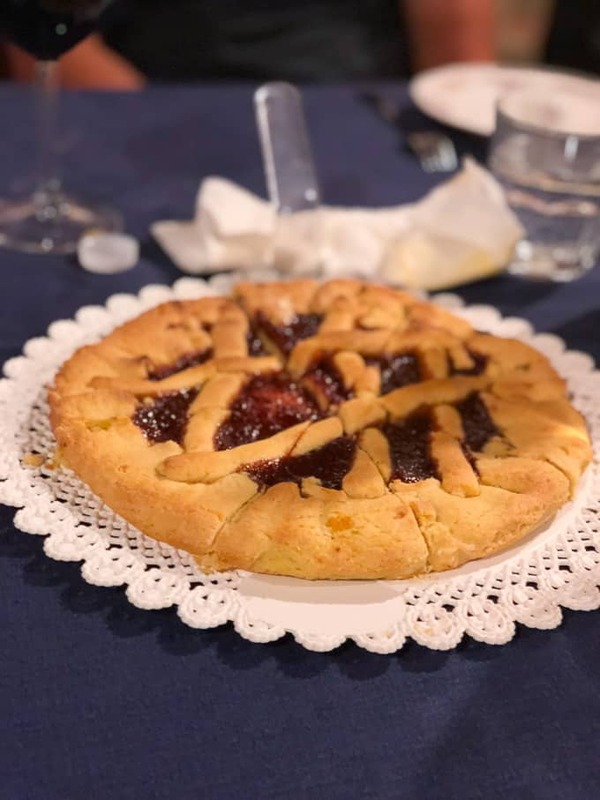 For dessert, we made a crostata with homemade strawberry preserves. And there are those tomato beauts from earlier. Just chopped them with some olive, salt and oregeno for the bruschetta. And ten topped it with black basil. 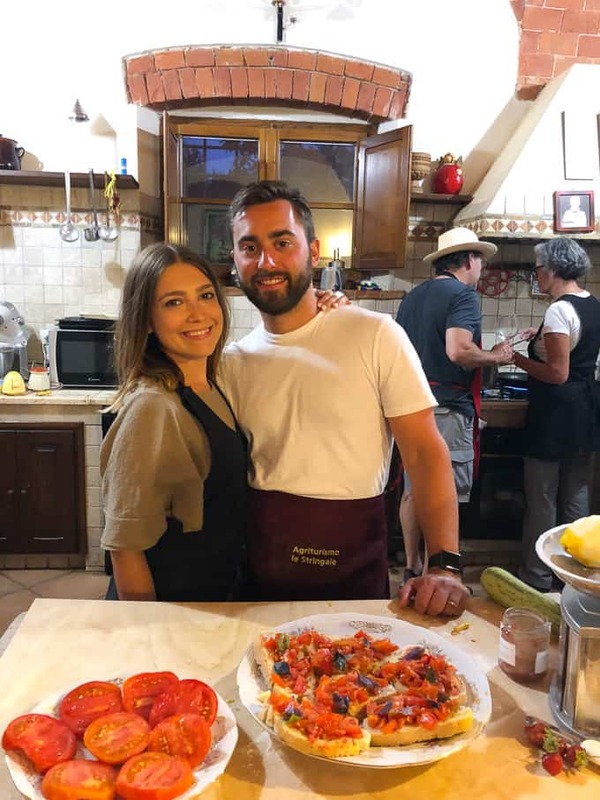 My whole family agreed that this cooking class was the highlight of our entire trip. It was so nice to all do something together and to get to enjoy the fruits of our labor afterwards. 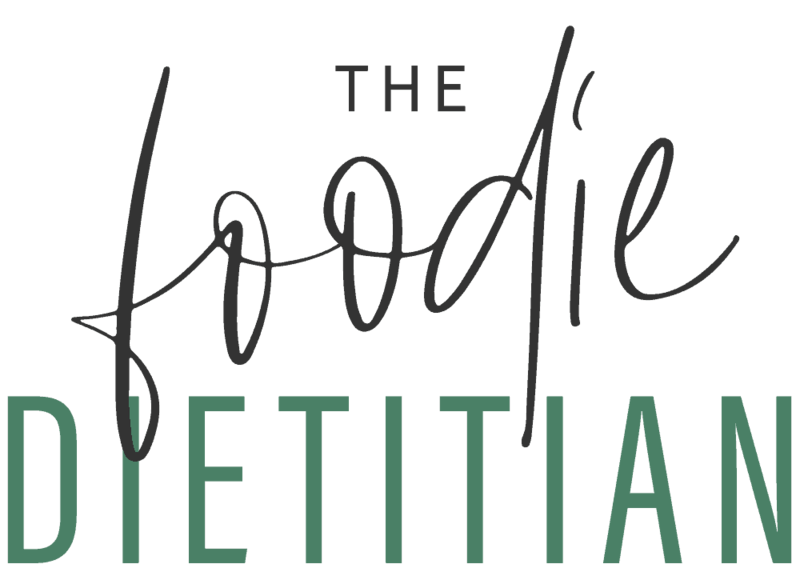 To me, food is love, and this experience was the epitome of how I view food. Our finished product! Of course, everything was topped with fresh parmigiano! 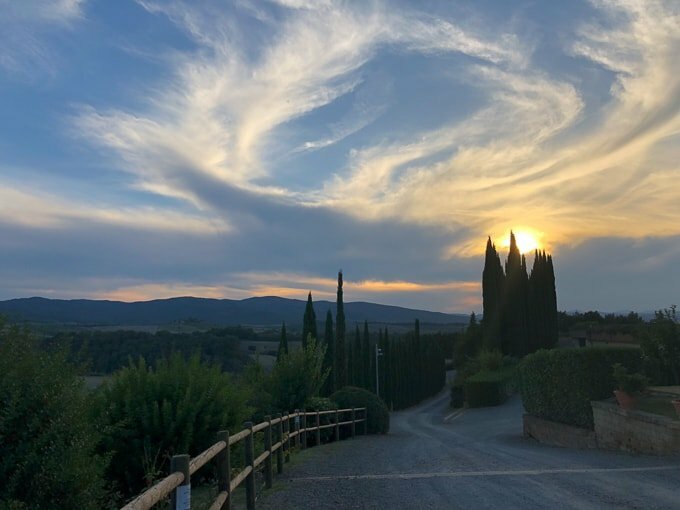 We took the rental car for a loop around the heart of Tuscany (I recommend renting a car while in Tuscany) or the Val D’Orcia. We roughly followed Rick Steve’s heart of tuscany drive. 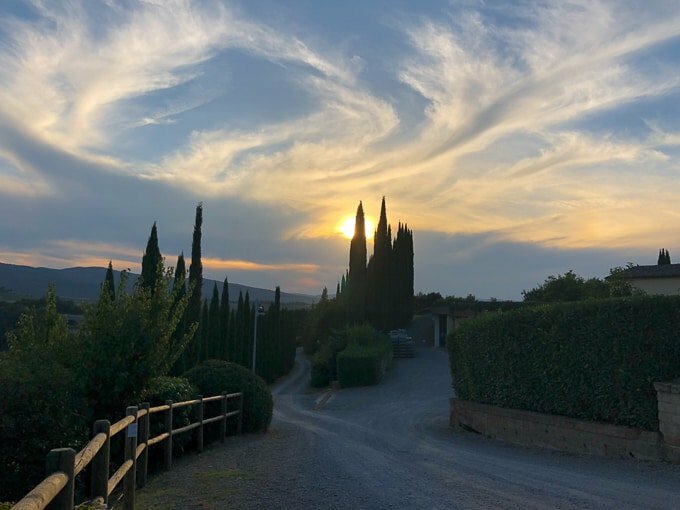 We drove toward La Foce Gardens first and we assumed you could tour the gardens whenever you wanted but turns out they only offer guided tours at 4 different times during the day. We got there about 1.5 hours before the next tour so we decided to snap this picture against the cool backdrop and be on our way. 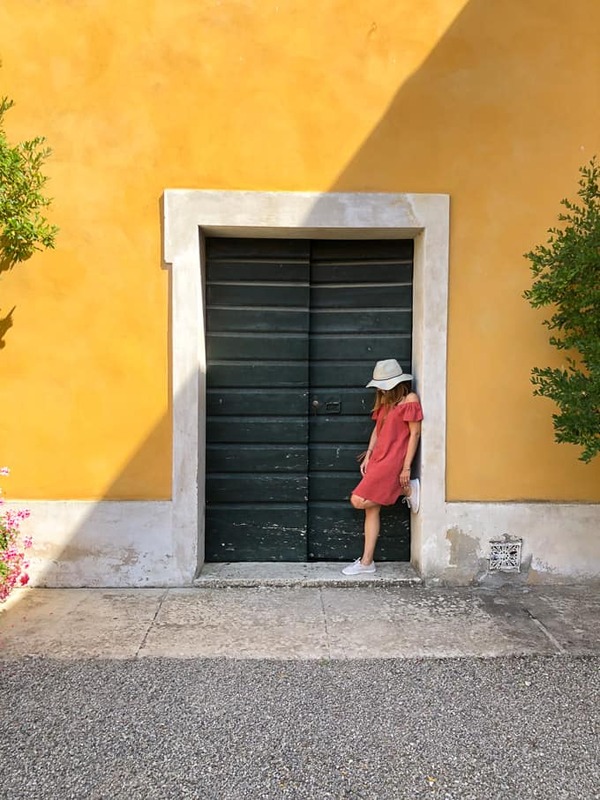 We stopped for lunch after the garden disappointment at this super cute spot Rick Steves had recommended, which is just down the road from La Foce Gardens called Dopolavoro La Foce. They have a gorgeous patio out back, situated amongst the olive trees, which they use to produce their own olive oil. 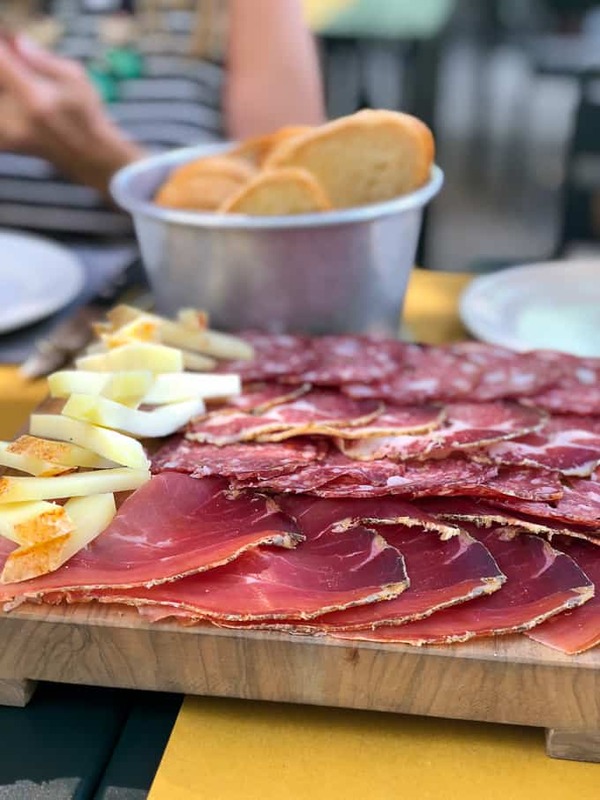 We started with a cheese and charcuterie board to share to start. 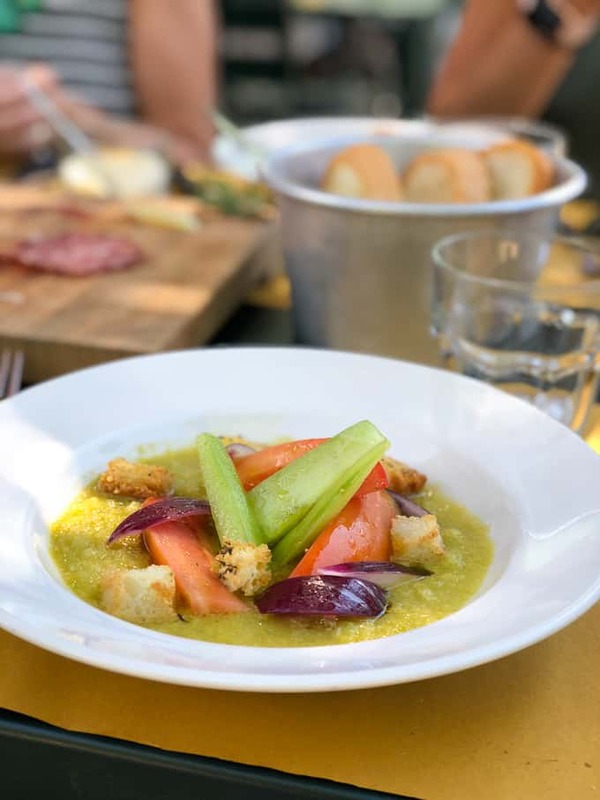 I ordered a green tomato panzanella salad but didn’t realize the tomatoes would be pureed with the bread. It tasted more like a gazpacho than a salad but was super flavorful. I ate some of this and Steve was kind enough to share some of his burger with me too :). 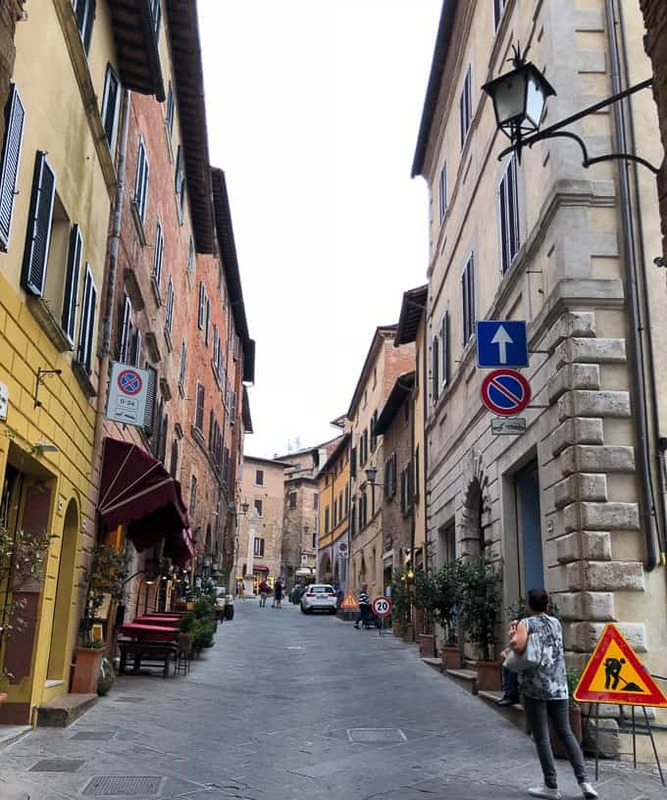 After lunch we drove to the town of Pienza for a quick walk around before our wine tasting reservation at Altesino in Montalcino, home of the Brunello wine. Pienza is a UNESCO World Heritage Site and is considered the capital of pecorino cheese (why we really went, let’s be honest). 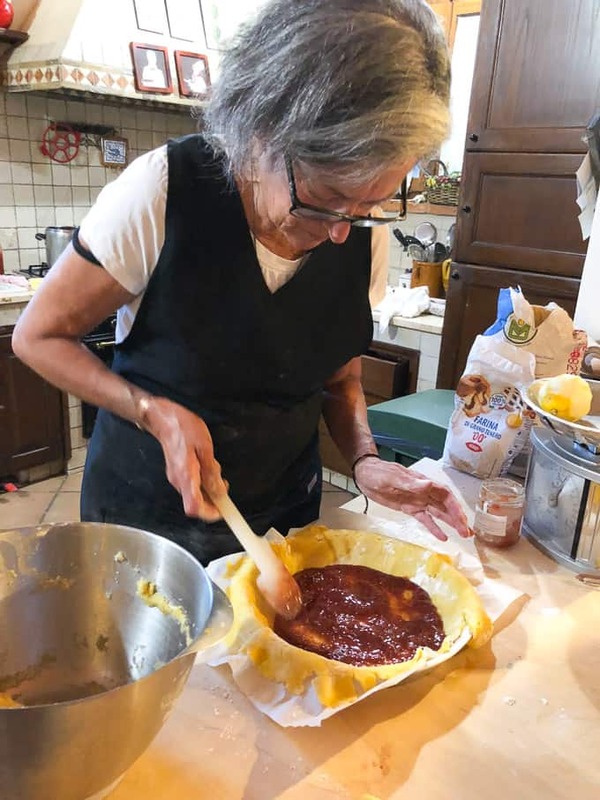 It’s known for its cheese because of its high quality being made from an especially flavorful and aromatic milk thanks to sheep pastures in Val d’Orcia. I mean look at that green grass. Of course the cheese is gonna taste bomb. We brought some cheese back home with us and it didn’t last long but we made a MEAN cacio e pepe with it. 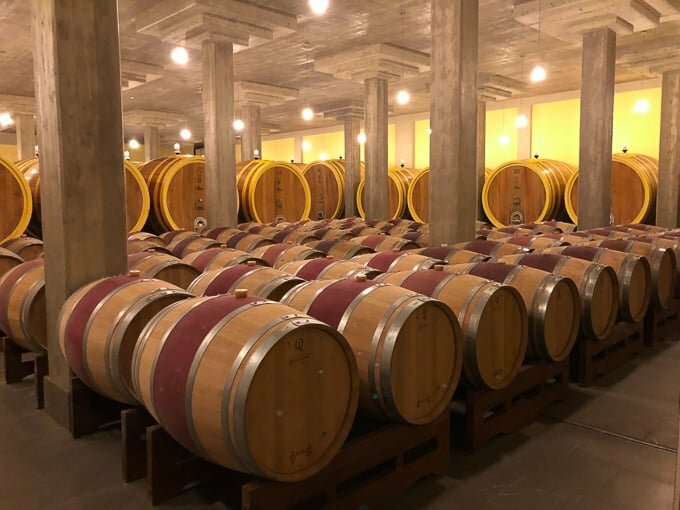 After a quick jaunt to Pienza, we drove to Montalcino, home to the famous Brunello wine. 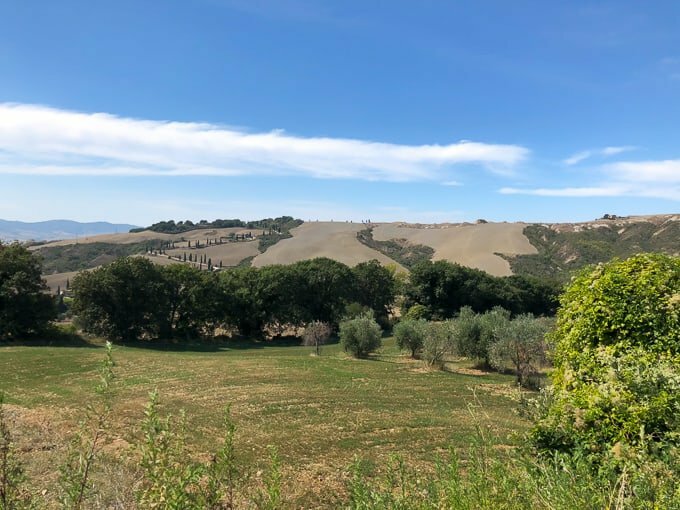 We made a reservation at Altesino the day before (strongly recommend you make in advance) and decided on this one because of Rick Steves’ description that they have the most stunning location with views of the vineyards and Montalcino on the horizon. They took us on a tour of their wine cellar and manufacturing facilities which was neat to see. And then of course we got to taste their wines. We brought home a couple bottles with us and are waiting for a special celebration to crack them open. Also can we just talk about the sun setting over this vineyard? Look at those clouds! It reminded me of a Van Gogh painting. After the vineyard, we drove to Monticchiello, another hill town in Tuscany, for dinner. We ate at a Rick Steves’ recommended restaurant, Osteria La Porta. Make reservations in advance. We called the day before and they could only accommodate us inside, not out on their patio with views of Tuscany. I think the patio views would make this restaurant worth it. 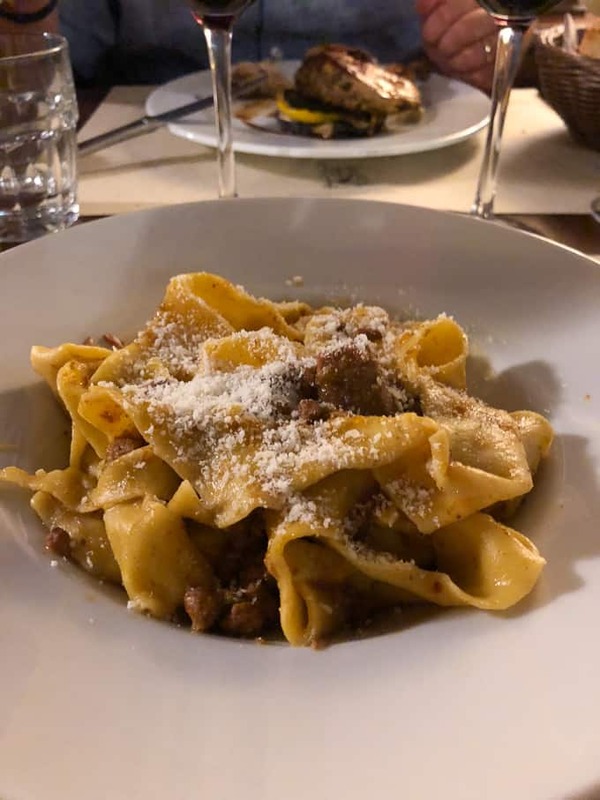 I had a starter that involved truffles and cream but I couldn’t tell you what else haha and then had this ragu with papparadelle, but after our cooking class experience and our amazing duck ragu in Florence, it didn’t live up to expectations (#SPOILED). 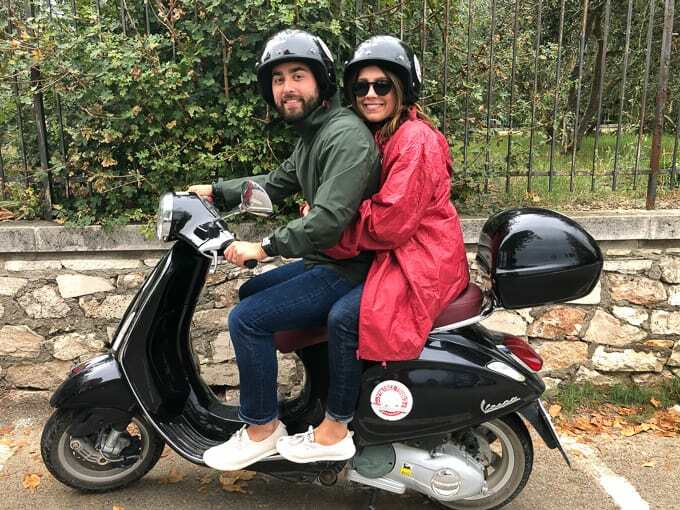 When we were in Cinque Terre, we met a couple girls around our age who had just come from Tuscany and said the highlight of their time in Tuscany was renting vespas and riding them around. We told our family and everyone was sold on the idea. We were all a little nervous because none of had rode a vespa before but we made it out alive! I can’t tell you how amazing it was to see Tuscany by vespa. There’s something about being out in the open with the fresh air hitting your face as you’re taking in these expansive views. 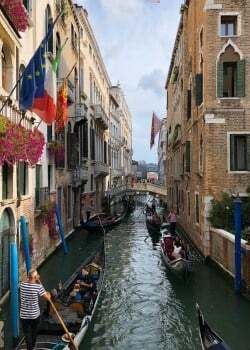 It was unbelievable and a must-do for anyone traveling there! After our vespa adventure, we got ready for a dinner we were all super excited about in the town of Montepulciano. 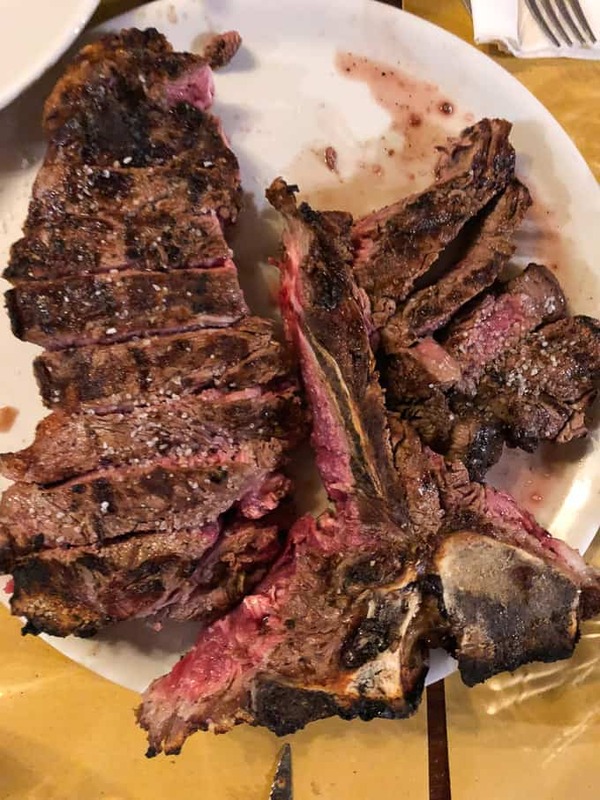 Rick Steves called Osteria dell’Acquacheta a carnivore’s dream come true and is beloved among locals for their steaks. 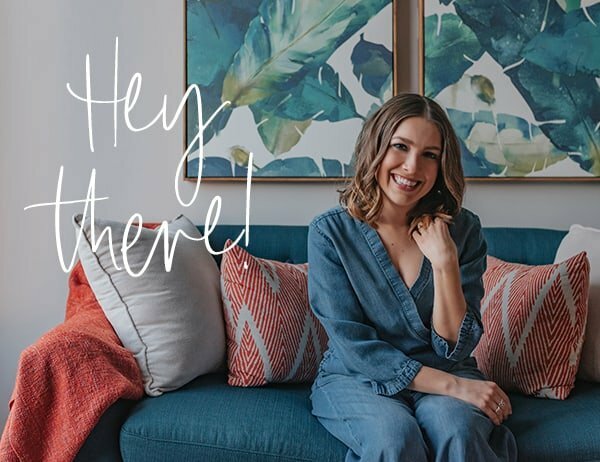 This restaurant is teeny, tiny so definitely make reservations well in advance. It’s owned by a husband and wife and toward the end of the first dinner service, they sat down to eat dinner with their young son right behind us. I was so impressed that despite running a crazy busy restaurant, they’re still able to prioritize sitting down and eating together as a family. 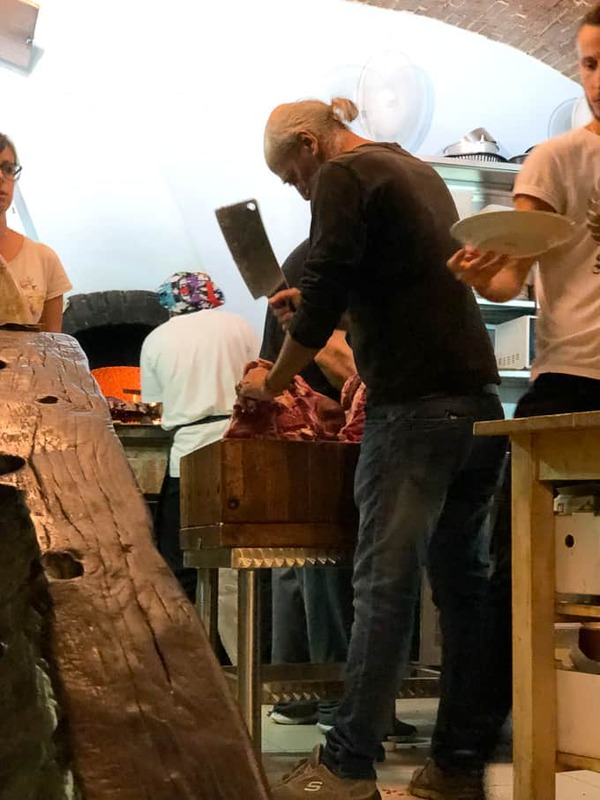 The husband is in charge of the steaks and with an open kitchen in the back you can see him chopping away at huge slabs of beef before sending them into the wood fire to grill. This was probably the most delicious meal of our trip. 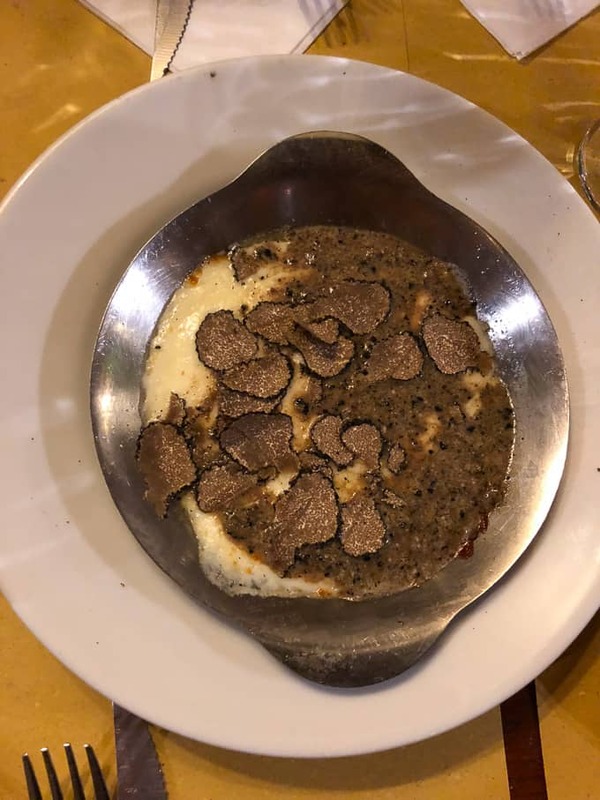 We started off with melted brie covered with shaved truffles (a delicacy in Tuscany). 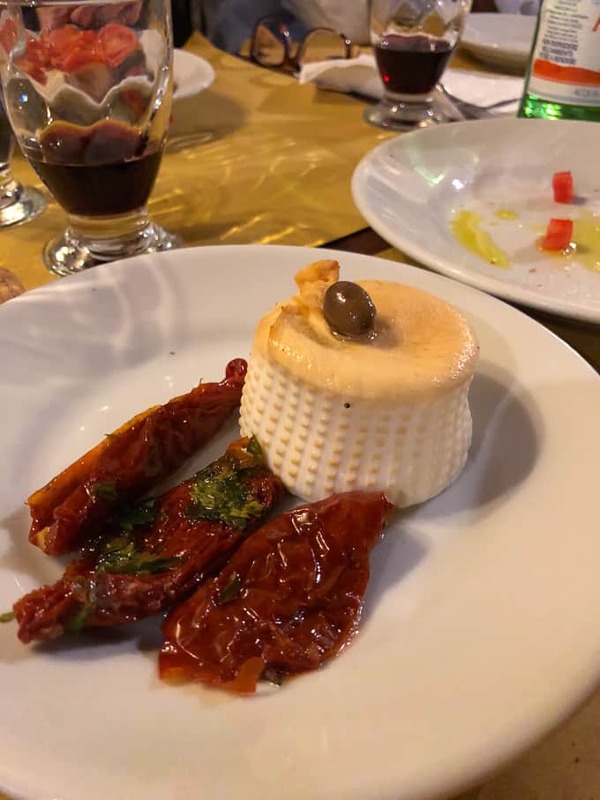 Goat cheese with sun dried tomatoes. 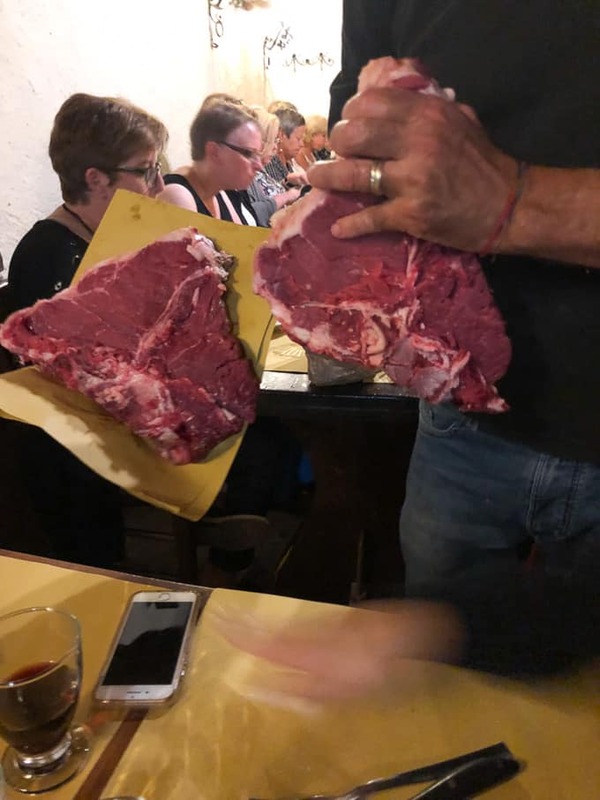 The owner will come to your table to find out how much meat you want, he’ll do his math with a pen on the paper tablecloth at your table and then will come back to present your pieces of meat to see if you approve before he sends them to be fired up. The whole experience was so unique and one I’ll never forget. 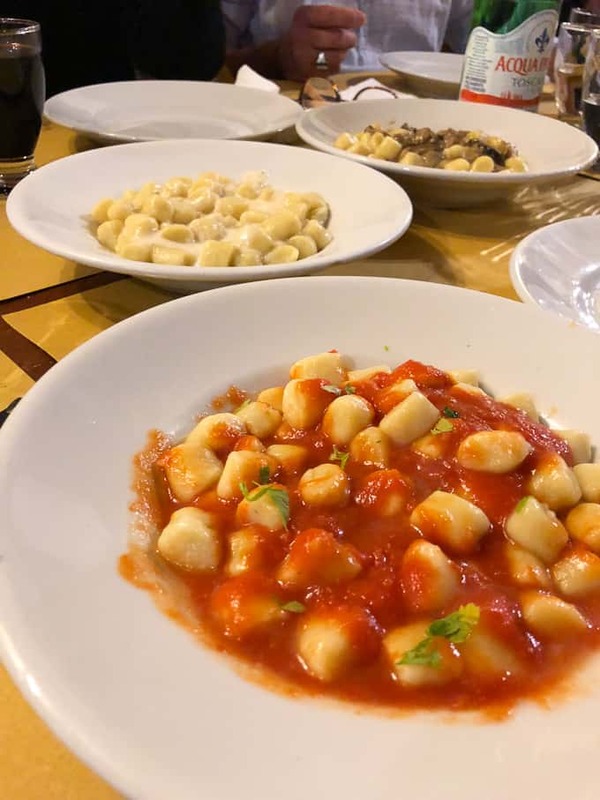 We then ordered gnocchi with three different sauces – an amatriciana, wild mushroom, and three cheese. This was the best gnocchi I’ve had in my entire life. They were like little melt-in-your-mouth pillowy clouds. I would go back just to eat the gnocchi again. And here’s that grilled steak. They brought out the first plate and we were like wow that’s a lot of steak and then they brought out a second plate and we were like oh wow, there’s no way we can eat all that meat. Guess what. We ate all the meat lol. 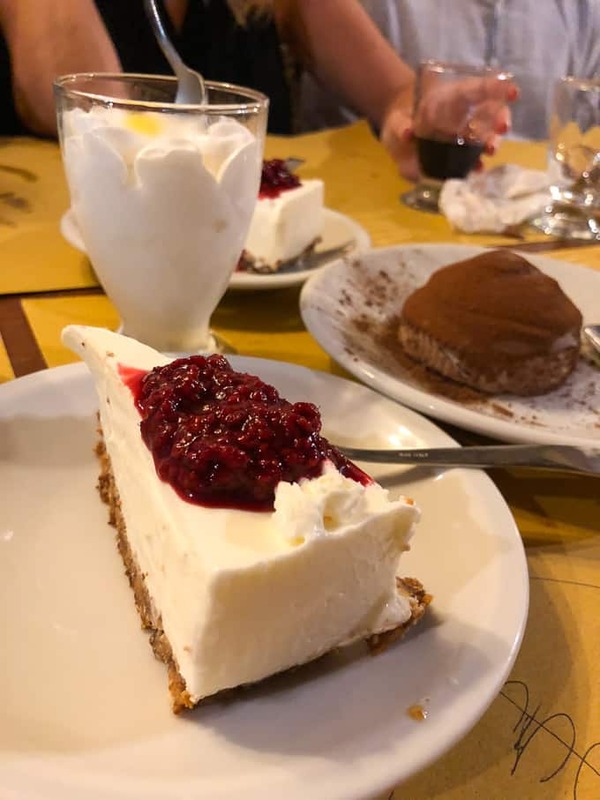 And of course, we couldn’t finish the meal without dessert. We had homemade cheesecake, a chocolate bomb mousse cake and a lemon dessert. The next day we were off to Rome, our final stop on the trip! 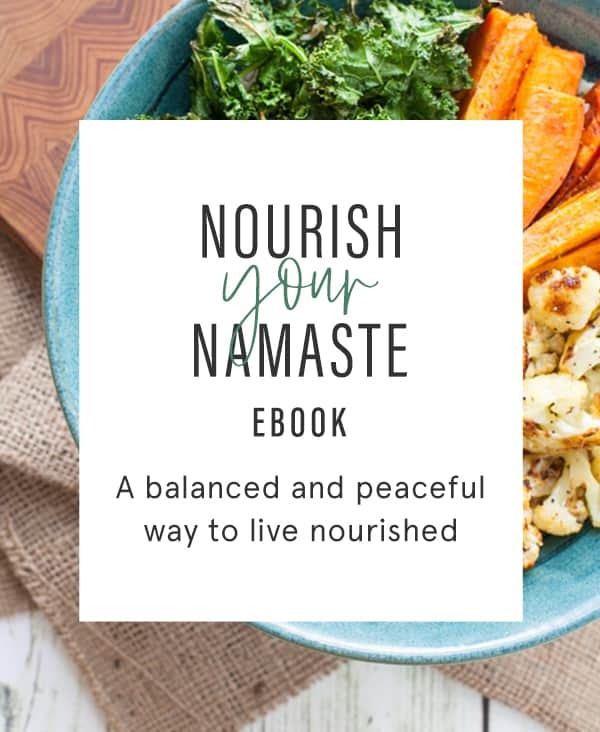 Stay tuned for a recap soon. 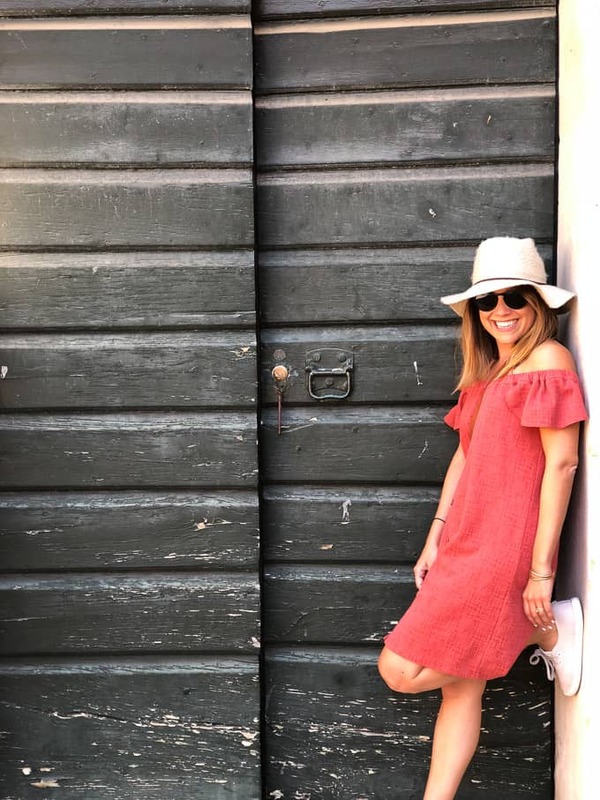 For more on my Italy adventures, check out the recaps below!